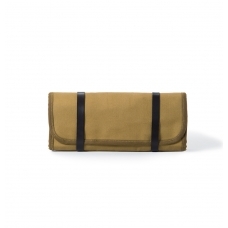 Rugged Twill, fully closable catch-all tray inspired by vintage paratrooper gear. 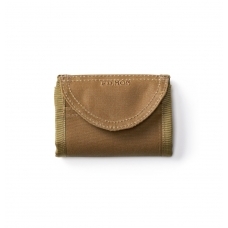 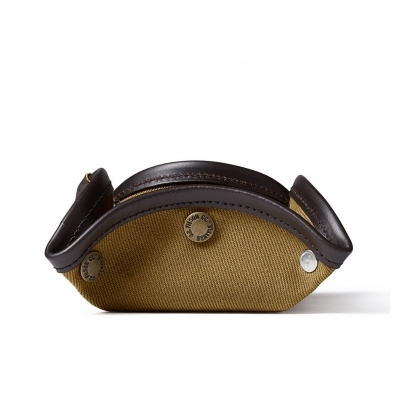 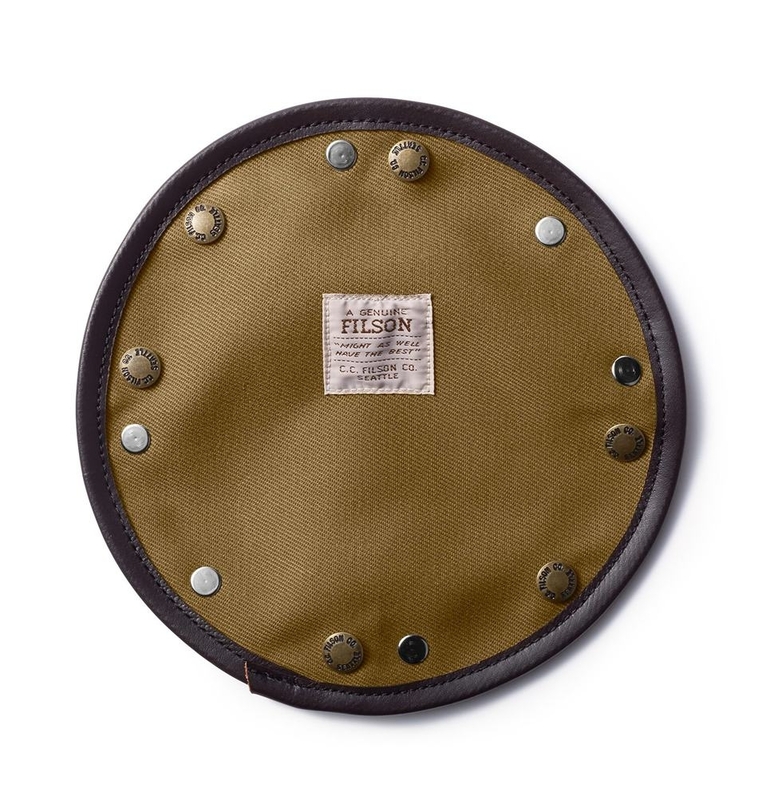 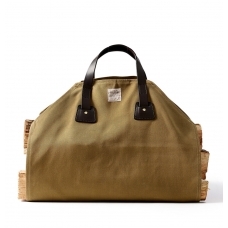 FILSON TWILL TRAVEL TRAY, ultimate Filson accessoire. 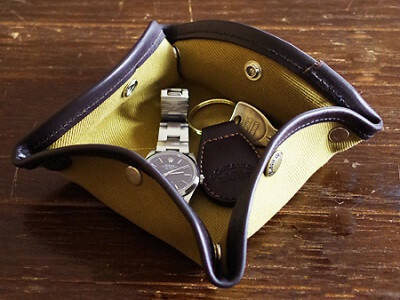 This Rugged Twill catch-all travel tray snaps to itself to create a bowl for keys and coins, then snaps flat into an enclosed pocket when you need to leave. 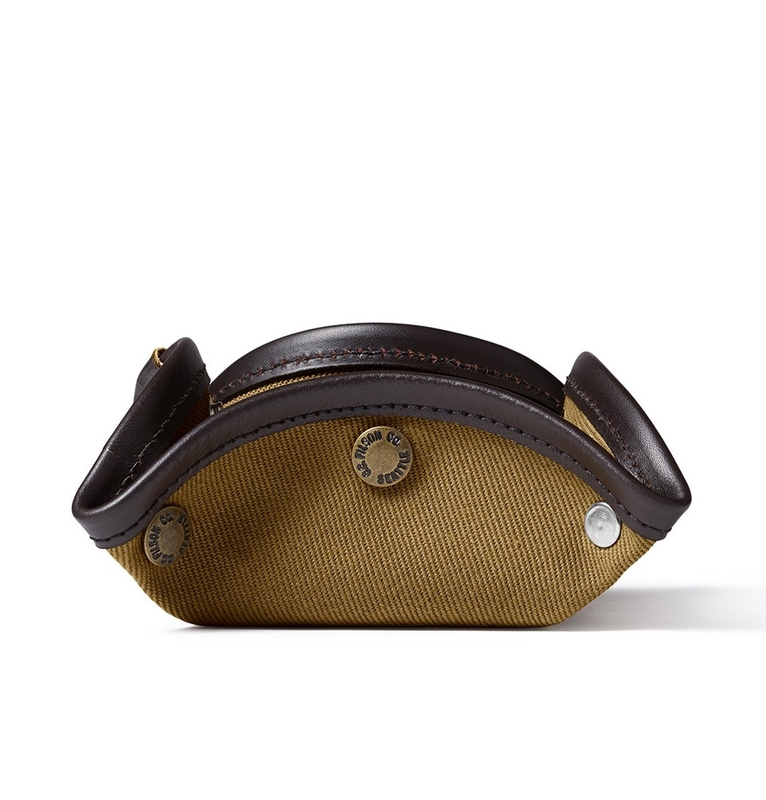 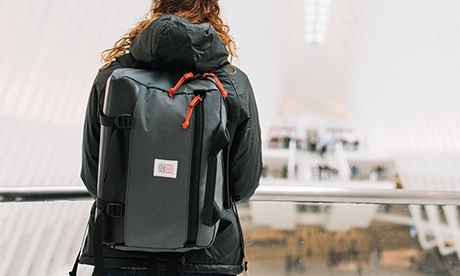 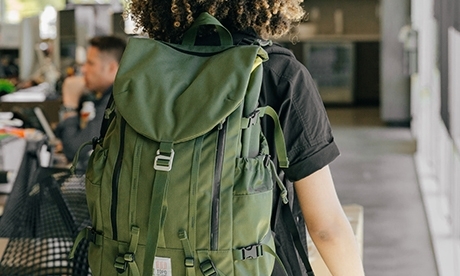 Bridle Leather accents add durability.